Has signed up the ambassador agreement with Runmageddon Global. The Ambassador commits to gather a team (from 3 to 5 people) who's going to take part in the Runmageddon Global event chosen by the Ambassador. Ambassador is not counted in the number of the members of the team. 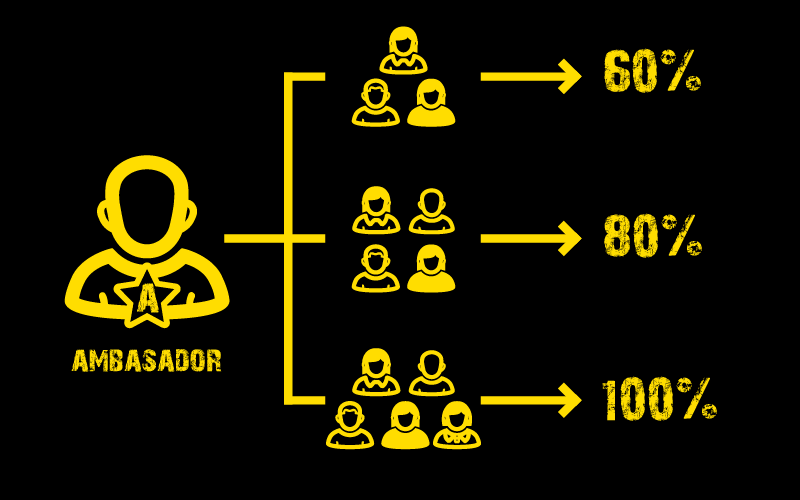 Ambassador recieves a discount – 20% of the price for each of the person in the team. 3. The team is set when all of the members has completed the advanced payment for the participation in the event. 4. The singn up of the whole team must be completed within 48h from sending via e-mail the declaration about cloasing the team by the Ambassador. 5. The discount for the Ambassador is executed after the closing of the team and completing the edvanced payment by all the members. 6. 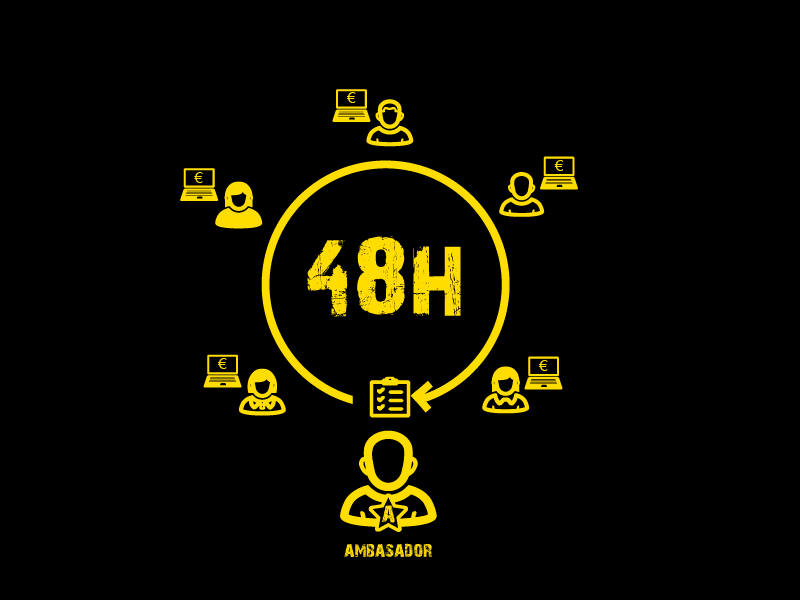 The Ambassador may give 5% discount for the price of the participation in the event to each of the members of the team. The amount of the advanced payment is equal for every Participant. 7. After completing all these steps the Ambassador recieves a voucher for Intro or Rekrut formulan of the chosen event, valid till the end of 2020. HOW TO TAKE PART IN THE PROGRAM? Gather the team: from 3 to 5 peoplee. Declaration sent? From now on the members of your team have 48h to complete the payment - it doesn't have to be whole sum - the advanced payment is just enough. You recieves the discount for the start - the percentage depends on the numer of the members of your team. Now you're going to an epic event with your own team!